An infinitive is a phrase, consisting of the word to and the basic form of a verb, that functions as a noun, an adjective, or an adverb. Here’s a discussion of the five types of infinitives. 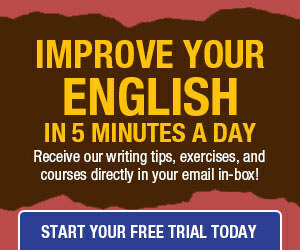 An infinitive can constitute the subject of a sentence. For example, in “To go, even after all that trouble, didn’t seem worthwhile anymore,” “to go” is the action that drives the sentence. In the sentence “We all want to see,” “to see” is the direct object, the noun (or noun substitute) that receives the action of the verb. “To see” refers to a thing being done — or, in this case, desired to be done: the act of seeing. In “She didn’t have permission to go,” “to go” modifies permission — it describes what type of permission is being discussed — so the phrase serves as an adjective. In “He took the psychology class to try to understand human behavior,” “to understand (human behavior)” explains why the taking of the class occurred, so it’s an adverb modifying the verb took. I agree with all the examples except the last. I can accept “to understand human behavior” as an adverbial phrase modifying “took,” but I don’t agree that “to understand,” on its own in the context, functions as an adverb. In the final example, you also have the infinitive “to try.” How is this infinitive functioning? Seems to me that “to try” is the adverb and “to understand” is the direct object of “to try.” If I were editing this sentence, I would delete “to try” altogether. I have the same question as Danny. In what was is “to try” used? @Danny – in TEFL we call this an infinitive of purpose, meaning ‘in order to’. In my opinion, the fact that in these two examples infinitives can be said to function as adjectives and adverbs doesn’t make them themselves adverbs and adjectives, which are word classes (parts of speech). A relative clause functions adjectivally, but it isn’t an adjective (although in some grammars it’s called an adjective clause). In ‘the car door’, the noun ‘car’ is functioning adjectivally, but that doesn’t make it an adjective: it’s still a noun. being a teacher of a handful of students in classical languages and many more who are biology majors with a limited grasp of the language, i empathize with thebluebird11. However, it is never too late to learn – pick up Latin or Greek or just about any rigorously declined/conjugated language and see your mastery of English blossom. regarding item #2 in the original post – i would actually call these complementary infinitives – certain verbs, include the verb “to want” but also verbs of ability, wish/desire, appearance, and others are regularly “completed” by a verb in the infinitive. while item #5 can be understood adverbially, i would think it would be better labeled a result or purpose clause, but that could be my classical languages coming to the fore. In Greek it is regularly indicated with a particle plus the subjunctive mood. It may seem counter-intuitive, but Phil is right. If all the terminology used to discuss English grammar is unfamiliar to you and difficult, studying Latin or Greek — or any of the Romance Languages — will force you to learn and use these terms. 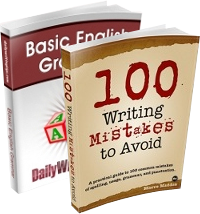 The transfer and application of them to your understanding and correct use of English grammar will follow naturally. In my college years, I was in a pre-ministerial program, and Latin, Greek, Hebrew, and German were required (four years of each). Those studies enriched my understanding and appreciation of English to a degree that I appreciate anew again every day of my life. Later, just as I was setting up my freelance proofreading and copy-editing business, I worked as the language columnist for a magazine aimed at the secretarial/administrative assistant profession, and I recommended the same tactic as Phil is advocating here. If you’re a certain kind of person, it will change your life.